Soak up Akabane’s retro charm. Samples Japanese drinks such as sake, shochu or hoppy. 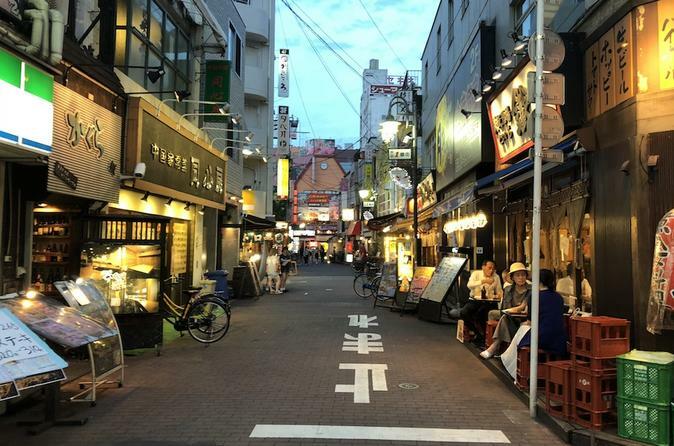 We will visit Akabane’s Ichibangai street and walk through the alleys taking in the sights sounds and aromas. We will visit an old school standing bar for drinks and snacks before heading out to two more izakayas where will try dishes such as oden, yakitori, eel and grilled fish, as well as trying some unusual beverages such as hoppy, sake mixed with dashi stock and shochu highballs. Your guide will suggest and recommend the best dishes for you based on your preferences. During the tour you’ll try at least 10 dishes and 3 drinks so we’are sure you”ll be satisfied. Enjoy a night (or day!) sampling delicious food & drinks while soaking up the old school atmosphere of Akabane.